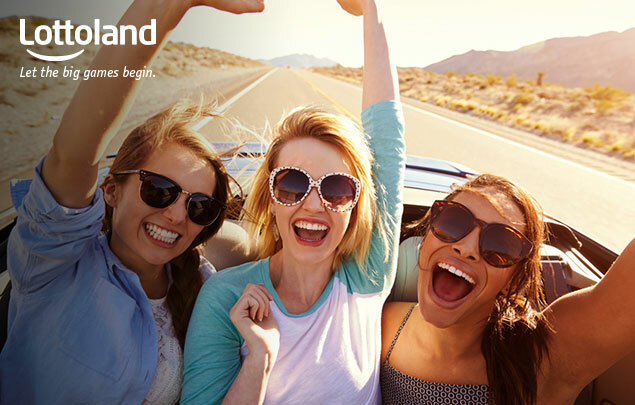 We travel the world to bring you all the best lotteries to bet on here at Lottoland. Admittedly, though, most UK lottery fans haven't heard of half of them! Which is a shame because we've got some real gems. So, with that in mind, we present "the ten best lotteries you've never heard of!" We're not called Lottoland for nothing. t's because we've got a whole lotta lotteries! So many lotteries, in fact, that it can often feel overwhelming for new players. Generally our instinct is to stick with what we know.. Though if you're only sticking to these two, great lotteries though they are, you're missing out on a world of other fantastic lotteries each with their own unique perks and benefits. For some it's enormous jackpots, for others it's amazing odds or incredibly competitive pricing – and for many more it's a combination of all of the above. Most of our players never heard of PowerBall until last month, when its jackpot broke all records by topping £1 billion (and, thanks to unprecedented demand, temporarily broke our servers too). Before that, however, the top position on the jackpot belonged to MegaMillions. Like PowerBall it's an American lottery, and like PowerBall it regularly sees jackpots that exceed half a billion dollars. In a word? Jackpots! It may not hold the top spot anymore, but it still holds the second and third place. So if you're all about the big jackpots this is definitely one to keep an eye on! On the other end of the spectrum we have the Polish Mini Lotto. This game has Lottoland's lowest lotto jackpots, but it also has the lowest price and the best odds of winning . Jackpots are comparatively low but then so are the odds. While most lotteries have odds measured in tens if not hundreds of millions your odds of hitting the Mini Lotto jackpot are just 850,668:1. It won't make you a millionaire – but would you argue with winning 50 grand for just 25p per bet? So you like nice odds and low prices but still have your heart set on winning millions? Then Poland has you covered once again. The Polish Lotto is growing popularity here at Lottoland, as word of mouth begins to spread. With low odds and a great price the Polish Lotto is tough to beat – your best chance to become a millionaire for 75p! The biggest European lottery you've never heard of! It may not be a household name here, but this trans-European lottery is still hugely popular. It's played primarily in Germany, Scandinavia and Eastern Europe every Friday. It's Friday afternoon, you're on lunchbreak. This is the time to check EuroJackpot – it offers multimillion jackpots, for the same price – but at lower odds! Plus, you can bet on the outcome right here at Lottoland. Famous throughout Australia but virtually unheard of here in the UK – a situation we'd very much like to remedy. As a 6/45 game the Saturday Lotto offers the same great odds the Irish Lotto used to, but for just £1.50 per line. Multimillion jackpots at fantastic odds and a low price. There's also five other prize tiers with which to win. Be sure to also check out its sibling, the Monday/Wednesday Lotto, which offers the slightly lower jackpots but at the same great odds, and boast an ever lower price per bet! Another great 6/45 game, featuring multimillion jackpots at a great price. We sold this as the ultimate alternative to the Irish Lotto following its revamp last year. Great jackpot odds for just £1.50 per line – plus the bonus Joker game gives you even more ways to win! The Swedish Lotto is a perfect example of elegant Swedish design. You can go minimalist, or you can get more complicated, it's all up to you. Mid to high jackpots at our second-best odds, basic game costs just £1.50 but there's also a second draw PLUS an extra bonus game giving you lots of ways to win. You've heard of El Gordo, Spain's massive Christmas lottery, and its baby brother, El Nino, on January 6th. Now meet their cousin, the weekly lotto game that sends Spaniards loco every Sunday. Based on Spain’s El Gordo de la Primitiva, Sunday Lotto offers nine different ways to win for just £1.50 per bet. The low-odds, mid-level prize tiers are particularly tasty plus it's the only lottery that gives you a one in ten chance of winning your stake back. Keno veterans and newbies alike have plenty to like about German Keno. A basic game costs just £1 but there's also an extra game for just 75p more. Plus, as this is a casino-style lottery game, you have the added opportunity to raise your stake. The default is £1, but you can also double it, or raise it higher to £5 and £10 increasing the amount you can win. German Keno is the only lottery game where even when you loose, you win. Why? Well due to the game's design if you pick eight or more numbers you're still guaranteed to get some numbers correctly, so you'll get just under three quarters (e.g. 74p on a £1 stake) of your money back! See our German Keno article for more info. If you really want to fall down the Keno rabbit hole, however, Poland's Multi Keno is the game for you! It offers a huge range of options plus a bonus game and the ability to raise your stakes by up to 10x. A single game costs jut £1 and the bonus Plus game costs an additional £1. Multi Keno gives you great odds and tons of different ways to win – it's also available to every day of the week! Variety Isn't The Spice Of Your Life? If you're tired of never winning anything on the same old game maybe a fresh approach is just what you need. The only question now is what type of game do you want; a multi-faceted game with lots of ways to win, a budget game with great odds, or would you rather go all-in for massive jackpots?! At Lottoland we've got them all! Bet now and you can win big!